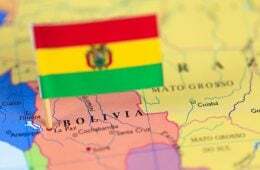 (English) Bolivia enacts Law No. 708, or the Conciliation and Arbitration Law (LCyA). LCyA was enacted (i) to preserve the public interest and the free will of the parties, (ii) to provide legal security (predictability) to both the state and the investor (iii) in a framework of equality and equity for both. (English) On June 25, 2015, Bolivian President Evo Morales promulgated Law No. 708 on Conciliation and Arbitration, creating a Special Arbitration Regime for resolving investor-state disputes.